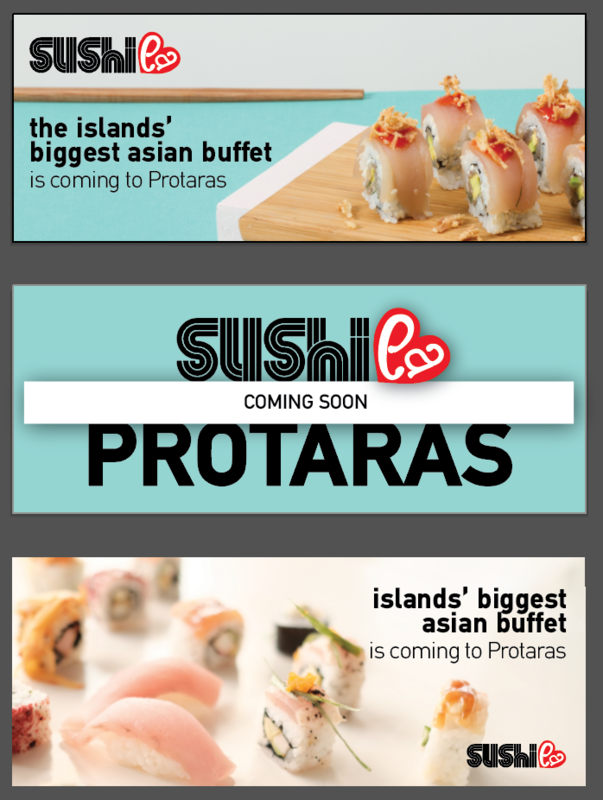 Protaras Plaza Hotel offers a large Variety of food and beverage options. We’ll provide you with the most memorable meal. An unforgettable experience, that will really make you want to revisit! 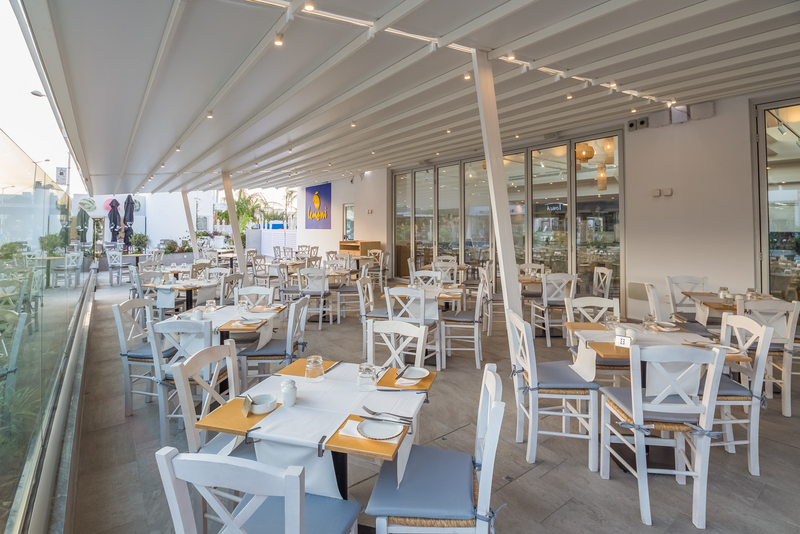 The Main (indoor) Restaurant, “Lemoni” with an outdoor terrace, serves daily buffet breakfast and set menu or a la cart dinner in the evenings. 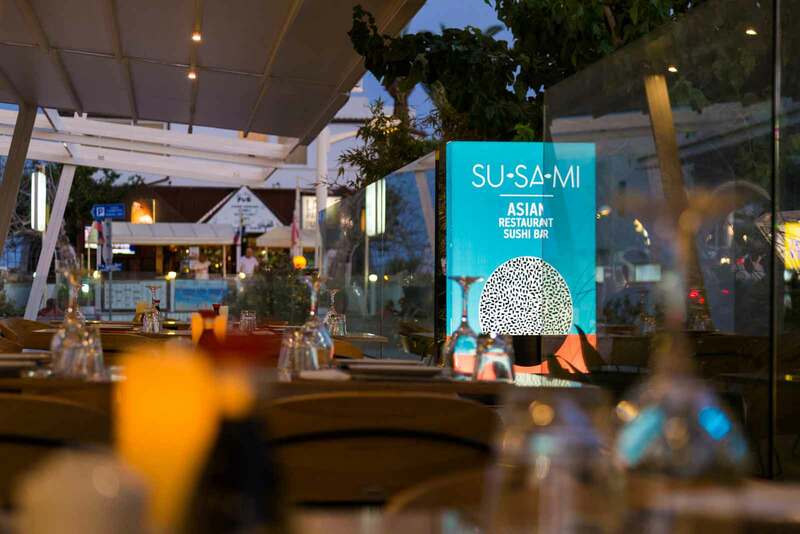 The Asian Restaurant “SUSAMI” where guests can enjoy dinner, al fresco, with a large variety of Asian dishes and Sushi platters. 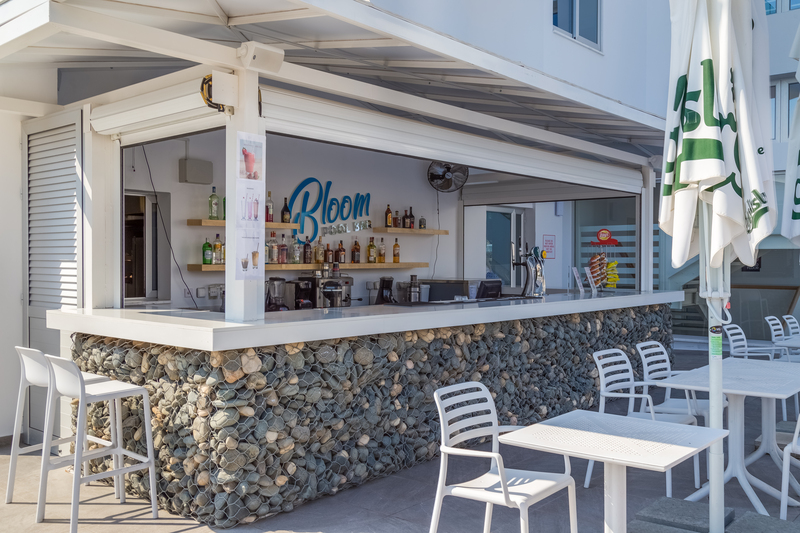 The “Bloom” Pool Bar conveniently situated next to the pool, where you can enjoy refreshing drinks, ice-creams and a large variety of snacks, for lunch during the day. 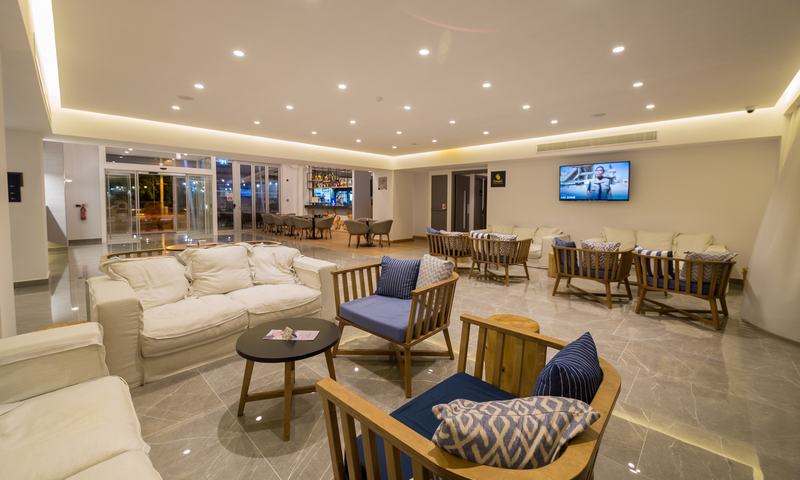 The “Lo.Bee”, Main Bar found in the main hotel lobby with seating both inside and outside, where one can enjoy a large variety of alcoholic beverages, expertly prepared by our barmen. The Cafe which is part of the “Lo.Bee”, Main Bar, right on the main Protaras strip, where one can enjoy cold and hot beverages and drinks, fresh fruit and a mouthwatering variety of sweets and desserts. 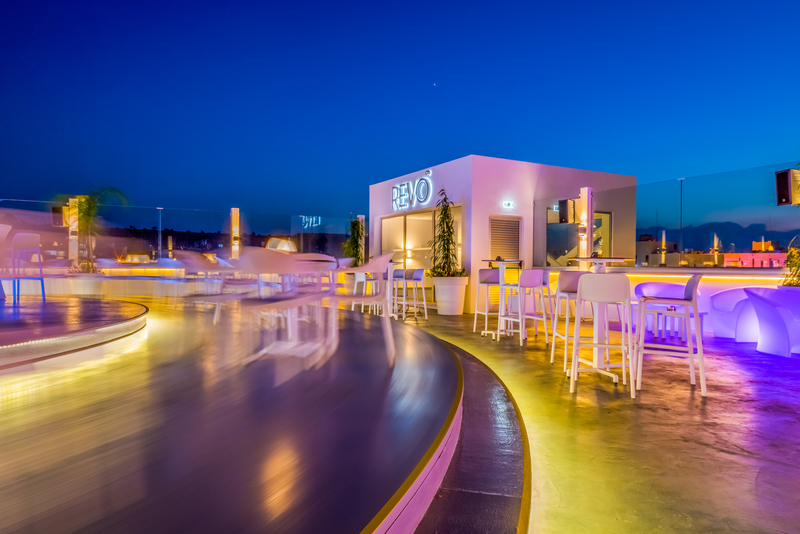 The “REVO” Roof-Top Lounge Bar, found on the top of our hotel, with a revolving stage and its own panoramic lift access, benefiting from fantastic views of Protaras and the Fig tree Bay, where one can enjoy a large variety of our own signature cocktails, and a large variety of alcoholic drinks and beverages, expertly prepared by our barmen, and for the ones that may feel a bit hungry there is a variety of sushi or fruit, or cheese platters to choose from.